Under this heading we have brought together all of the Foundation’s activities which aim to secure the restoration of monuments, and to preserve and promote Greek civilisation. Since this category contains projects and actions meant to safeguard our cultural heritage and identity, it may seem that we support activities which are inhomogeneous, if not downright disparate. This is because we have listed programmes which cover our entire culture from Antiquity to this day, through the work conducted at such varied places and institutions as museums, libraries, societies, monuments, archaeological sites and excavations. Moreover, given our conviction that culture is found not only in grandiose, impressive achievements but also in folk expression, tradition and everyday life, this category includes support to the activities of regional societies, museums and folklore collections as well as churches, monasteries and Byzantine monuments associated with the traditional, religious, literary and artistic expression of our recent history. A good example of the Foundation’s activities is the Popular Library of Kalamata, which we have supported continuously since our first year of operation. 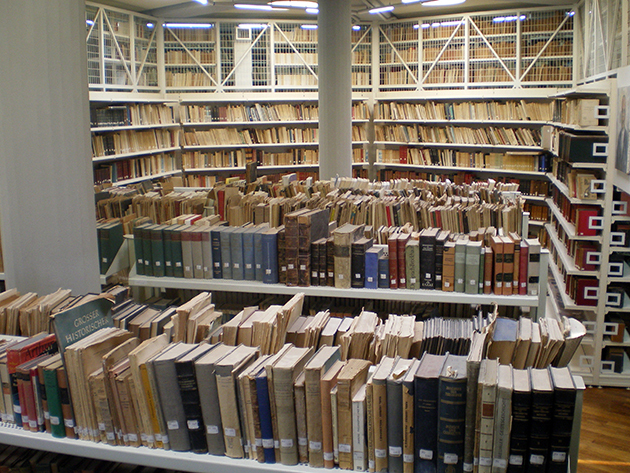 The Library, which holds some 100,000 volumes and a host of rare periodicals and newspapers, is a compound organisation as it runs as one of its departments the Gallery of Contemporary Greek Art. The Gallery was further enriched with donations by Anastasia Costopoulos as well as with the bequest of a great number of works by Daphne S. Costopoulos, daughter of Stavros and Danae Costopoulos. Our continuing support to the Popular Library and Contemporary Greek Art Gallery of Kalamata has enabled it to modernise its technical equipment. There are also several other libraries we have supported throughout the country. One indicative example is the Kaireios Library in Andros. In addition to preserving and running the Library, Kaireios has issued publications which we supported and has restored the Agadakis Castle in the village of Apatouria, Andros, which includes a conference/seminar room and a permanent exhibition of preindustrial agricultural objects. The collaboration with museums dedicated to preserving and showcasing our civilisation covers the entire spectrum of the Foundation’s interests and appears in almost all chapters of this publication. Our earliest and most characteristic relationship is with the Benaki Museum. 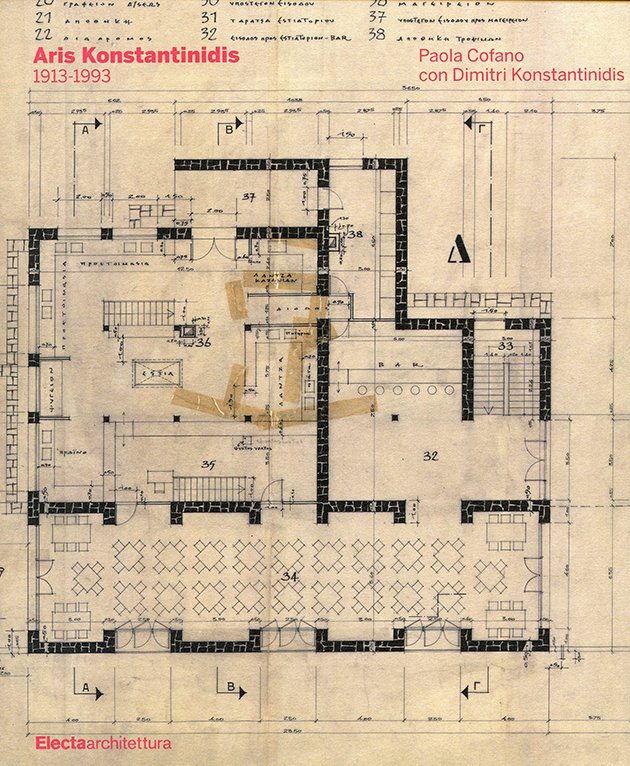 Our ways of supporting the Museum include the purchase of books for its Library, the acquisition of exhibits such as the portraits of Athanasios Diakos and Odysseas Androutsos, the restoration of icons, the funding of its research project at the Sanctuary of Amyklaion near Sparta and the creation of a hall for periodic exhibitions at the Main Building on Koumbari Street; the hall is named after our founders, Spyro and Eurydice Costopulo. 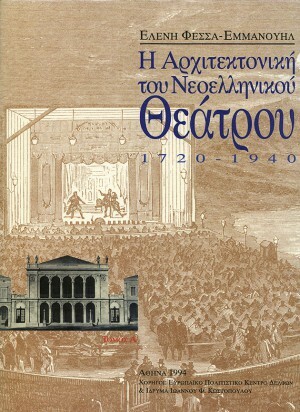 After the renovated Main Building was reopened and the new building on Pireos Street began to operate, the Foundation has supported many of the Museum’s exhibitions and the publication of accompanying catalogues. Considerable support was extended also to the Historical and Ethnological Society of Greece – National Historical Museum. The Foundation, at the Society’s request, purchased and donated to the Museum various items which cannot be listed in detail in this volume; indicatively as to the variety of the exhibits we could mention an oil painting about the Venetians’ offensive to recapture the castles of Preveza and Vonitsa in 1717 under Count J. Β. M. Schulenburg, the oil painting under the title Setting fire to a Turkish ship by N. Volanakis, a yatagan of Constantinos Canaris, a golden bracelet of Queen Amalia decorated with a miniature of King Otto, and a knife given by Eleftherios Venizelos to Nikolaos Plastiras. The Foundation has provided similar, albeit smaller, support to many other museums as well, among which the Byzantine Museums of Athens and Thessaloniki, the Museum for the Macedonian Struggle, the Museum of the City of Athens, the National Gallery and Alexandros Soutzos Museum and the National Museum of Contemporary Art for the purpose of augmenting their collections. Given the importance we ascribe to the preservation and restoration of national costumes and other traditional artefacts as part of our cultural identity and heritage, we support many folklore museums around Greece, from Thrace to Crete and the Aegean and Ionian islands. In a country so closely associated with the sea, we would naturally support maritime museums and projects promoting the Greek maritime tradition; we shall refer solely to some original undertakings to which the J. F. Costopoulos Foundation has provided financial aid. 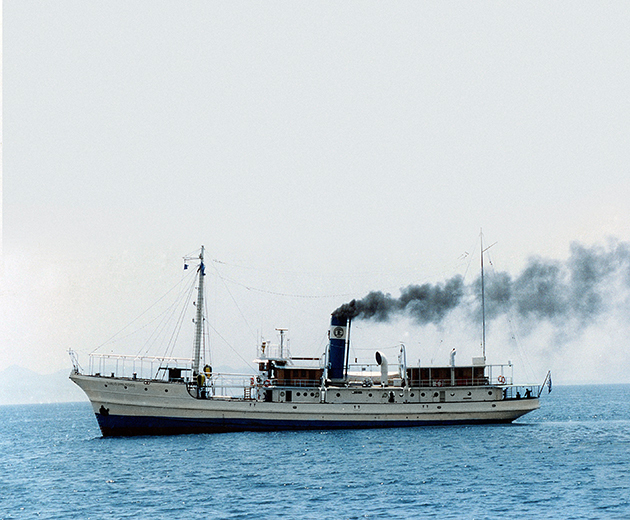 The first was the restoration by the Aegean Maritime Museum of S/S Thales Milissios, the ship which installed the underwater telephone cables in Greece during the twentieth century. The second one concerned the construction by the Maritime Museum of Crete of a replica of a Minoan boat which sailed from Chania to Piraeus in 2004. A third initiative by the Historical Archives-Museum of Hydra was about the purchase and the study for the restoration of Eleni P., a historical wooden cargo boat; the project is still under way. A fourth initiative was our support to the Prikonnisiakos Sindesmos for the construction of a replica of the traditional rowing boat Santala of Marmara. Outside Greece, the Foundation has helped in the renovation of museum halls with Greek and Roman collections, as in the Fitzwilliam Museum of the University of Cambridge or the relocation and rearrangement of the ancient collections of Newcastle University, England. 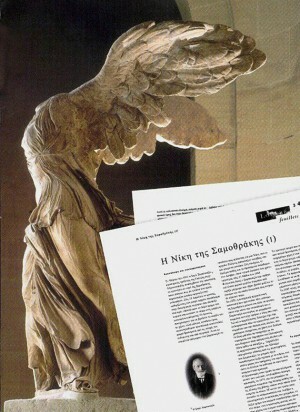 Among the projects which combine elements from several categories of our activities are the Greek translation of the educational leaflets in the Louvre halls of Greek, Roman and Etruscan art and a CD with the Cypriot antiquities in the Cesnola Collection of the Metropolitan Museum of Art in New York. 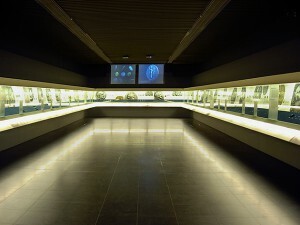 In a similar spirit, we helped in the construction of special showcases for the Museum of Antiquities in the new Bibliotheca Alexandrina, while in the Holy Monastery of St. Catherine at Mount Sinai we worked together with the A. G. Leventis Foundation to support the conversion of the Treasury into a Museum of the latest specifications. Moreover, together with the A. G. Leventis Foundation and the Stavros Niarchos Foundation we covered the costs of the exhibition Byzantium 330-1453, a collaboration between the Royal Academy of Arts in London and the Benaki Museum in Athens, shown in the Main Galleries of the Royal Academy of Arts, London in 2008-2009. According to the Royal Academy of Arts, the sponsorship guaranteed that “the curators were able to represent the Byzantine Empire in all its splendour presenting a unique opportunity for the British and international public to admire and understand the art and culture of the Byzantine Empire in hitherto unrealized magnificence”. Given their long history, many monasteries possess valuable treasures which require maintenance, and the Foundation often comes to their aid. The Holy Monastery of Koutloumousion on Mount Athos was helped to restore the valuable manuscripts in its library, as was the Holy Monastery of Saint John the Theologian on the island of Patmos, on the occasion of the celebrations of its 900th anniversary. On the same island we supported also the restoration of the Holy Kathisma of Saint Christodoulos. In most cases our support to the Church does not have to do with its spiritual mission. The one exception was a possibly unique example of resourcefulness displayed by the Holy Metropolis of Dryinoupolis, Pogoniani and Konitsa in the 1980s, before the opening of the Greek-Albanian border, when it tried to meet the religious needs of the inhabitants of Northern Epirus and, among other things, resorted to transmitting the religious service via loudspeakers installed on Greek soil! Upon the restoration of the Orthodox Autocephalous Church of Albania, the Foundation’s donations initially went towards rebuilding the infrastructure—repairing the few remaining churches and building new ones, training clergy, developing programmes for the young (camps, youth centres)—and, after the year 2000, towards education, by supporting the Theological Academy, the Greek-Albanian Elementary School of Durres and the Mesopotam Technical School near Sarande, always under the auspices of Archbishop Anastasios. We opt to support the work of Metropoles in the most remote areas of Greece, such as in Thrace and the Dodecanese. 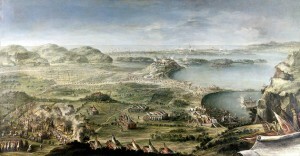 Outside Greece, we have provided financial aid to Metropoles under the Patriarchates of Jerusalem, Alexandria and All Africa for their missionary work, and to Metropoles under the Ecumenical Patriarchate of Constantinople for the restoration of relics and Byzantine churches under their jurisdiction. Among the projects of restoring Byzantine relics we have supported since 1991 was the restoration of the major collection of religious icons in the Patriarchate of Alexandria, under the supervision of Professor and Member of the Athens Academy Panayotis Vocotopoulos. 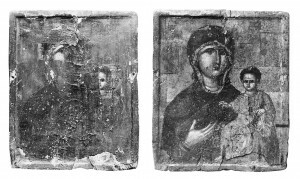 Another project that was approved concerned the restoration of Byzantine and post-Byzantine icons from the Emilios Velimezis Collection. 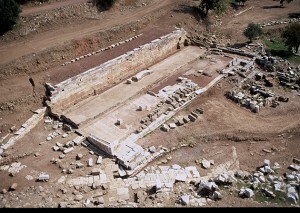 One of the frequent requests we get regarding the maintenance of Byzantine monuments led to the project of excavating, restoring and refurbishing, again under Prof. Vocotopoulos, the Byzantine monastery of Pantanassa at Philippias, whose church is one of the largest and most opulent examples of the late Byzantine era to survive in Greece. 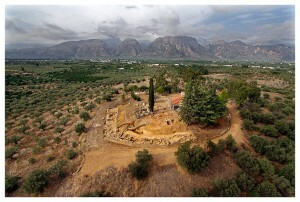 The Foundation supported from the start the initiative of the Archaeological Society in Athens to publish a study of the finds from fifty years of excavations at Mycenae, together with the excavation logs and all attendant records. The overall project is supervised by Professor and Member of the Athens Academy Spyros Iakovides, who has excavated the site over the past five decades and since 1988 has directed the continuation of the excavation. As Prof. Iakovides explains, “this sponsorship has greatly facilitated the progress of the programme for the publication of the excavation project at Mycenae”. That programme involved a full and detailed topographical survey of the acropolis of Mycenae by crews from the National Technical University, the description of over twenty buildings within and outside the acropolis and the cataloguing, description and photographing of all stratified finds, including some 200,000 sherds found during the excavations. The findings of the study have led to the safer and more accurate dating of the years of prosperity and decline in the acropolis, the gradual shrinking of the palatial economy and the changing uses of the various spaces. 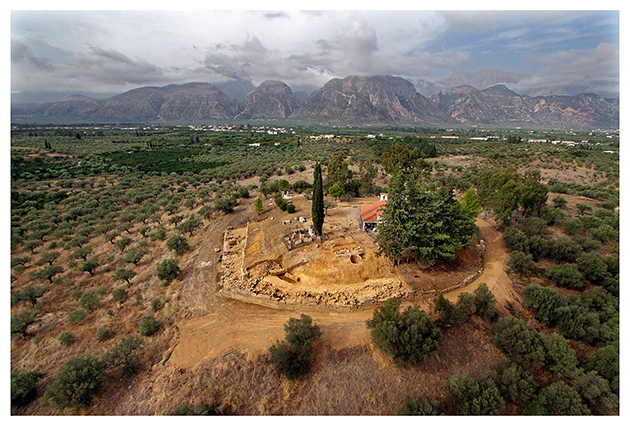 According to Prof. Iakovides “these publications will lead to conclusions about the historical course of Mycenae”. The Foundation began to support the excavations carried out by Professor Petros Themelis in 1986 and continued to do so for twenty-one years. 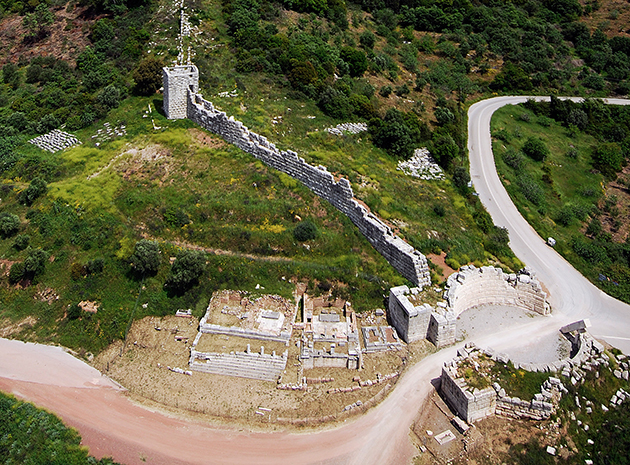 According to Prof. Themelis, “the Foundation contributed greatly to the restoration and the opening to the public of monuments which were not included in the CULTURE operational programme of the Ministry of Culture and Tourism”. 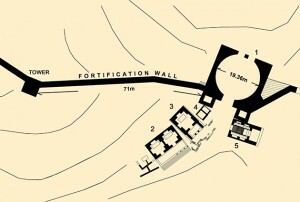 The completed operations include: restoration and consolidation works on the rectangular tower no. 17 situated to the northeast of the Arcadian Gate, one of the best-preserved towers along the impressive fortifications; restoration of the four-column, Doric Propylon—the monumental gate which leads to the western arcade of the Gymnasium and thence to the Stadium; restoration of the Κ3 burial monument in the western arcade of the Gymnasium; restoration of the Fountain of Arsinoe; restoration of the Doric temple in the Agora; restoration of the Thesaurus in the Agora; refurbishment of the Basilica; restoration of the burial monument to the east of the Asclepius sanctuary. 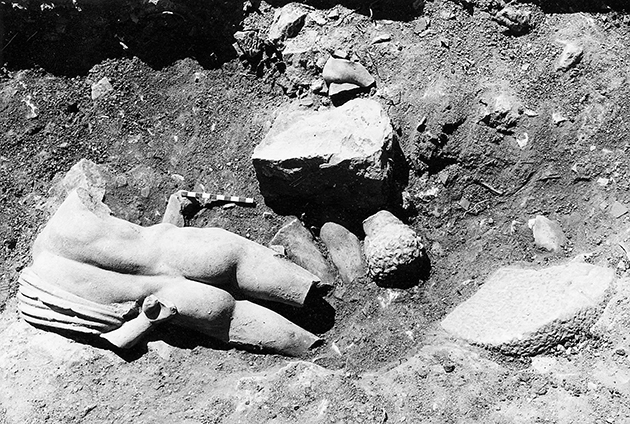 Additionally, restoration work was carried out on the statue of Hermes on display at the Museum within the site, and two vehicles were purchased to meet the needs of the restoration and excavation works. The completion of these tasks helps and promotes the excavation, restoration and museological work on Ancient Messene. The Foundation has been funding the reconstruction of major parts from the frieze of the choregic monument of Thrasyllos on the southern slope of the Acropolis of Athens. 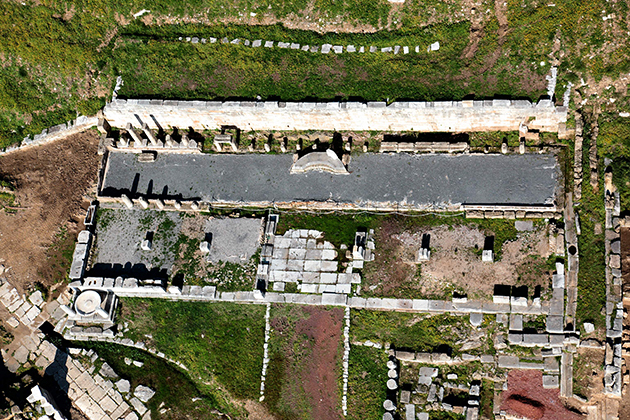 The overall programme is headed by Professor Alexander Mantis, supervised by the Committee for the Investigation, Consolidation, Restoration and Enhancement of the Theatre and Sanctuary of Dionysos and the Asclepieion and is funded in part by the 3rd Community Support Framework of the EU. Prof. Mantis explains that “this special choregic monument was preserved in its place until 1827, when it was bombed and ruined during the War of Independence. 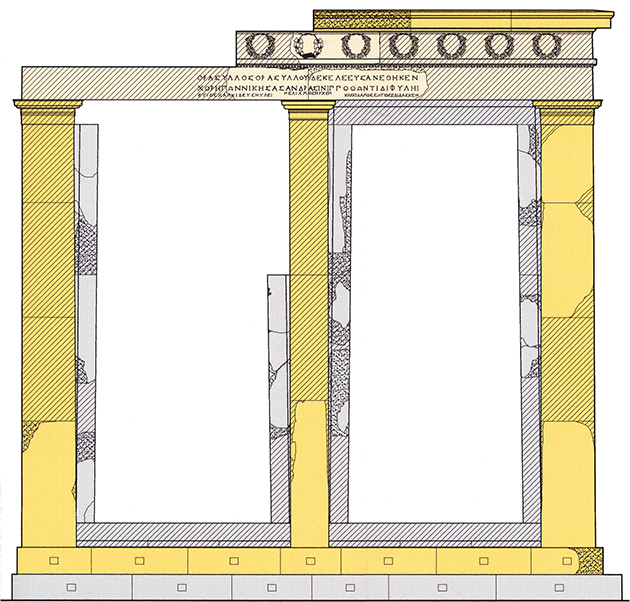 The study for its restoration was aimed at collecting and processing data, which came to support the idea of attempting the partial restoration of what has been an outstanding element in the historical landscape of the Acropolis for over twenty-two centuries. […] The Foundation’s involvement concerns a total of eight stones, which is an important number. 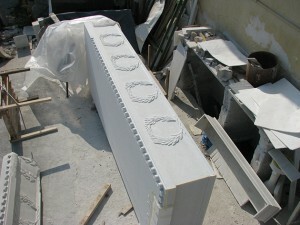 These are parts from prominent areas on the fagade of the building”. The necessary additional funding by the Foundation helps restore a prominent element in the historical landscape of the Acropolis and symbolically links through the centuries the ancient sponsorship of Thrasyllos with the contemporary one from the Foundation. The long collaboration between the Institute and the Foundation started in 1989, when we helped with the excavation of one of the most important ancient shipwrecks near the island of Dokos in the Argolic Gulf. Other large-scale underwater excavations of prehistoric and historic cargo ships were also supported throughout the 1990s at Cape Iria-Argolida; Antidragonera-Kythera and from 2000 to this day at locations in the Pagasetic, Saronic and South Evoikos Gulfs. As professor Yannos Lolos explains, “the study of the world’s oldest known shipwreck near the island of Dokos (2200 BC) was carried out in 1989-1992 and was a milestone for Greek marine archaeology and in the history of the Institute of Marine Archaeology, after which the Institute made great progress in research, publishing and education, while gaining international recognition and prestige. The J. F. Costopoulos Foundation supported this drive from the outset; the Foundation’s support to more major projects over the years has been instrumental in promoting marine archaeology in our country”. The In¬stitute has obtained a license from the Egyptian authorities to carry out marine archaeological research on the eastern coast of Alexandria. Since 2001, the Foundation has supported, at first exclusively and ever since continuously, these excavations which have provided a wealth of evidence on the ancient city’s history and topography, and their finds are now on show at the archaeological museum of the Bibliotheca Alexandrina, which has also been supported by the Foundation. Professor Harry Tzalas points out that the findings from twelve years of excavations are “impressive in number and volume as well as in terms of the new evidence they add to the history and the topography of the great city of Ptolemaic, Roman and Islamic times”. The Greek archaeological delegation with its constant pres¬ence has earned an equal place next to its two major French counterparts. Ancient Greek and Byzantine antiquities are often shown in temporary exhibitions in Greek and foreign museums. 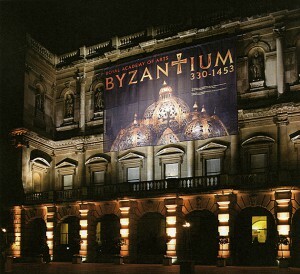 We have already mentioned the exhibition on Byzantium at the Royal Academy of Arts in London. We were also among the foundations and companies which supported the exhibition Byzantium: Faith and Power (1261-1557) at the Metropolitan Museum of Art in New York in 2004. The exhibition, as MET Director Dr Thomas Campbell reminds us, was seen as one of that year’s top events, and its catalogue received two major art-history awards in the United States. In association with the Stavros Niarchos Foundation we supported the exhibition Athos, hosted at the Helsinki City Art Museum in 2006, and the exhibition Eros: From Hesiod’s Theogony to Late Antiquity at the Museum of Cycladic Art in 2009. Special mention is due to our collaboration with the Musee du Louvre in the publication of the catalogue for the Praxiteles exhibition which then travelled to the National Archaeological Museum of Athens in 2007. We have supported also the Association for the Safeguard of Cultural Heritage of Cephalonia-Ithaca for the publication of a historical study on the Homeric Ithaca which was graciously distributed to schools and libraries on the two islands. The same Association initiated the acquisition and exhibition on Cephalonia of 152 works by the Greek-American artist Gerasimos Steris, whose family came from the island. In the same vein, the Foundation supports publications of scientific, historical and research, but little commercial, interest. 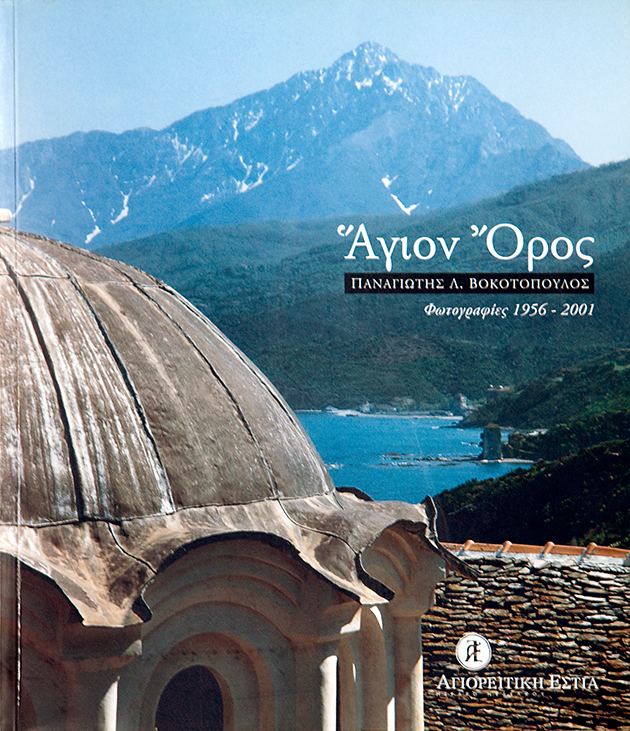 These include the two-volume collection of 35 papers by archaeologist Ioulia Vocotopoulos in 2001; the Mount Athos Centre’s 2008 album: Mount Athos. 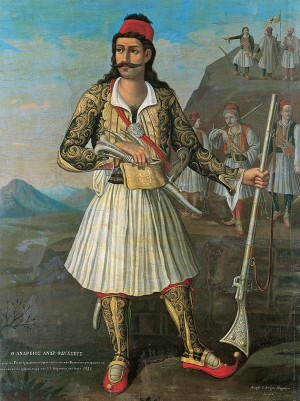 Panayotis L. Vocotopoulos. Photographs 1956-2001, with 165 photographs of buildings and landscapes on Mount Athos; the monography on the work of architect Aris Konstantinidis by the Mondadori Electa Publications; two volumes on the architecture and urban planning of modern Athens by Professor Alexandros Papageorgiou-Venetas: Eduard Schaubert (1804-1860). 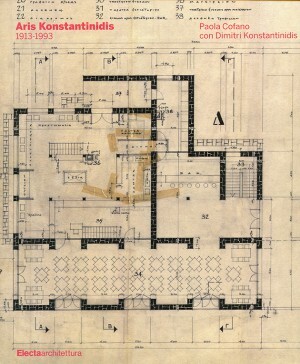 A Collection of documents on the planning of Athens and Piraeus (1998) and Amalia’s Garden: Design, Establishment and Evolution of the National Garden of Athens – A Contribution to Athenian Historiography (2008), as well as two books by Professor Eleni Fessa-Emmanuil: Theatre Architecture in Modern Greece: 1720-1940 (1992) and Twelve Greek Architects of the Interwar Period (Distinguished Greek Architects of the 20th Century) (1999). Our support to the Society for the Study of Greek History has helped to produce or reprint many historical publications. Equally, we have repeatedly supported the Society for Macedonian Studies. 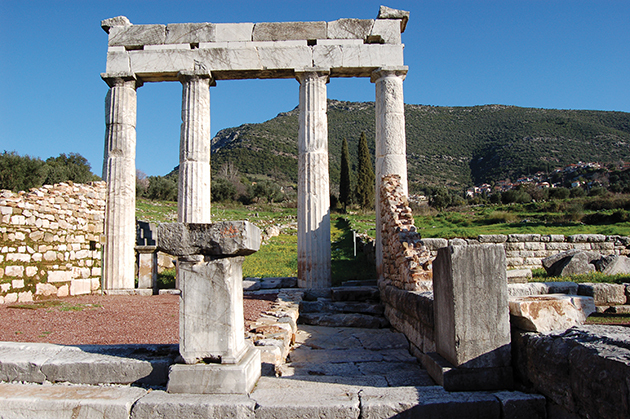 Our funding activities have included the translation of classical texts into Modern Greek. The most recent examples are the translations of the seven extant tragedies of Aeschylus and the other seven extant tragedies of Sophocles by journalist and writer Andreas Zoulas in 2007 and 2008, respectively, and the translation of the Iliad by Professor Dimitris Maronitis in 2009. Finally, reference must be made to the Greek Font Society, which keeps a variety of digital fonts in polytonic Greek consisting of both historical examples and new designs in keeping with our typographical tradition. 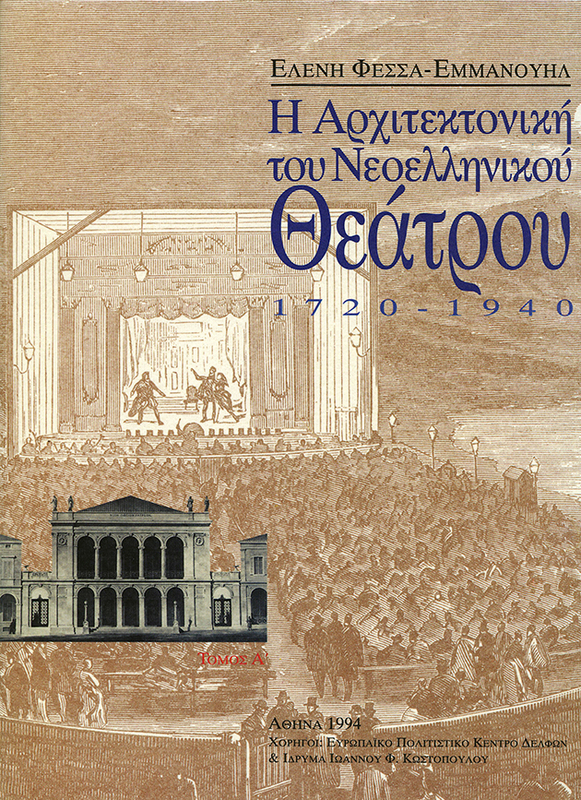 Eleni Fessa-Emmanuil, front cover of the publication Theatre Architecture in Modern Greece, 1720-1940. 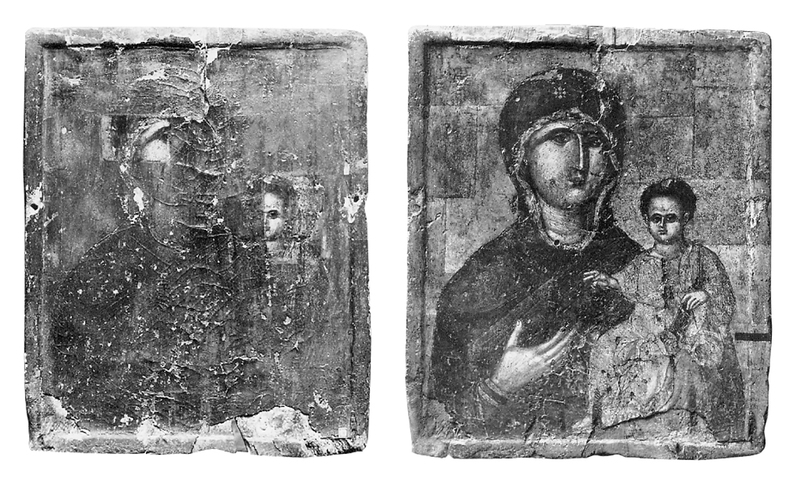 Patriarchate of Alexandria, photos before and during the restoration of the icon of Theotokos, under Professor Panayotis Vocotopoulos. 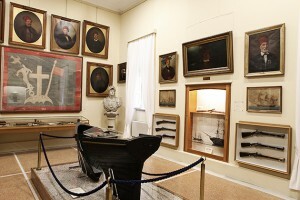 The Aegean Maritime Museum, S/S Thales Milissios. 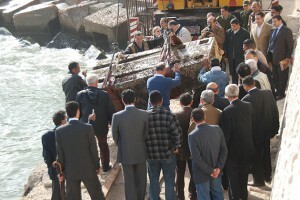 Hellenic Institute of Ancient and Medieval Alexandrian Studies, retrieval of the tower of the unique Pylon of Alexandria and the broader area from the site of the submerged Akra Lochias. 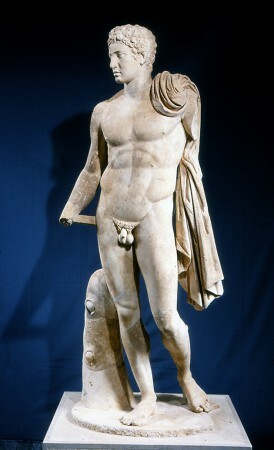 Ancient Messene: Hermes, after cleaning. Ancient Messene: The façade of the Gymnasium Propylon after restoration. Ancient Messene after the restoration work. Photograph after the restoration and drawing of the tower no. 17, the Arcadian Gate and the burial monuments. Historical and Ethnological Society of Greece – National Historical Museum, unknown artist, oil painting of the recapture of the castle of Vonitsa. 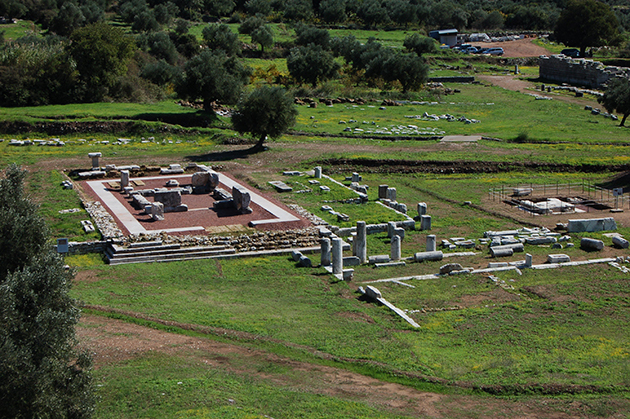 Sanctuary of Amyklaion from the east. 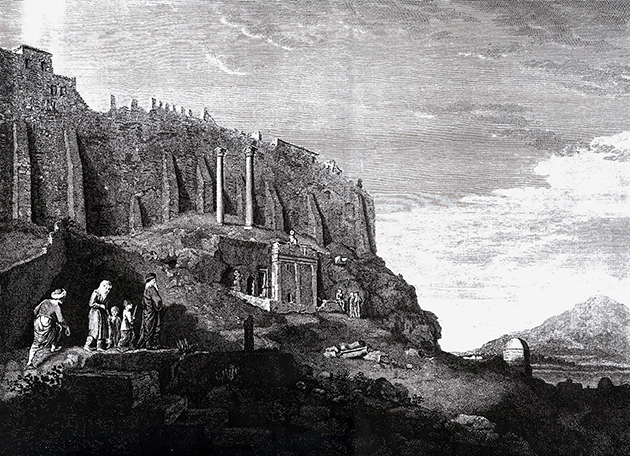 Depiction of the choregic monument of Thrasyllos in the mid-18th century (J. Stuart and N. Revett). 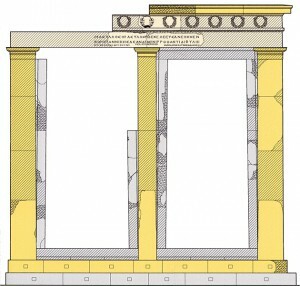 Drawing of the approved proposal for the restoration of the monument of Thrasyllos. The reconstructed stone from the frieze of the monument of Thrasyllos. 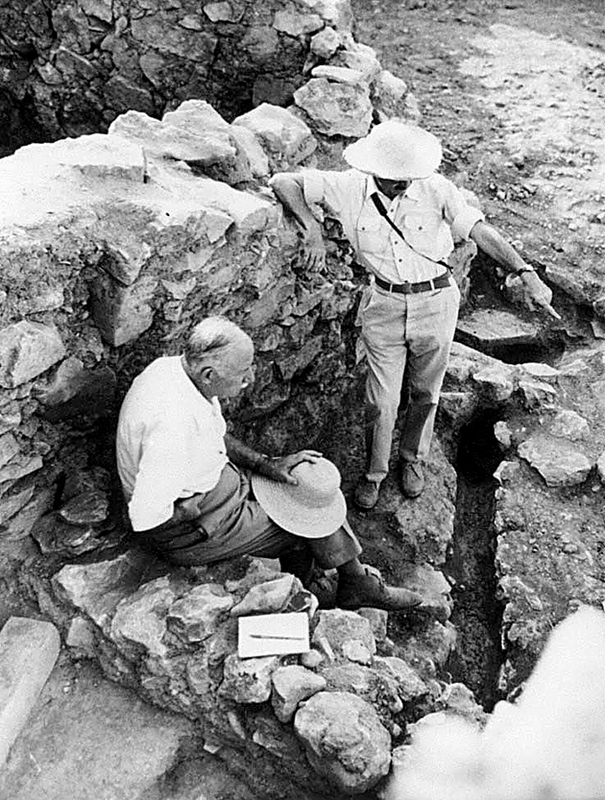 Mycenae, Georgios Mylonas and Spyros Iakovides excavating in the mid-1960s. Musée du Louvre, invitation to the presentation of Greek-language educational pamphlets. 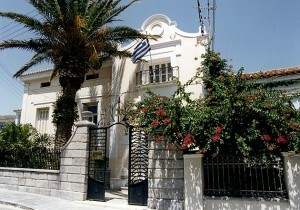 Kaireios Library, Andros – the façade. 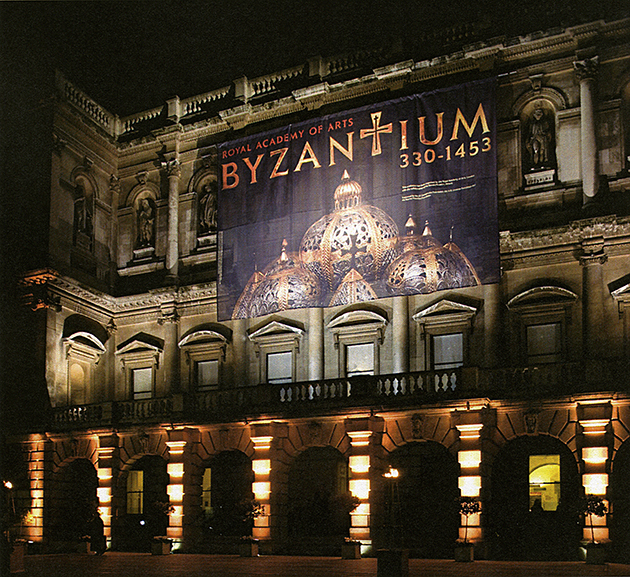 Royal Academy of Arts, the façade of the building during the exhibition Byzantium 330-1453. 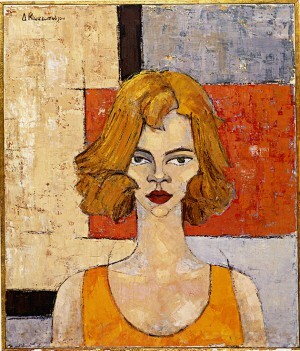 Daphne S. Costopoulos, Self-Portrait, oil on canvas, 1958-61. 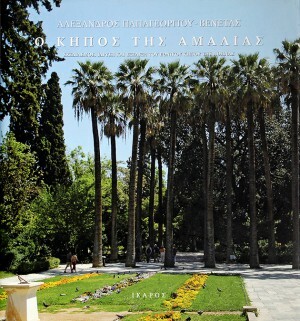 Alexandros Papageorgiou-Venetas, front cover of the publication Amalia’s Garden: Design, Establishment and Evolution of the National Garden of Athens – A Contribution to Athenian Historiography. 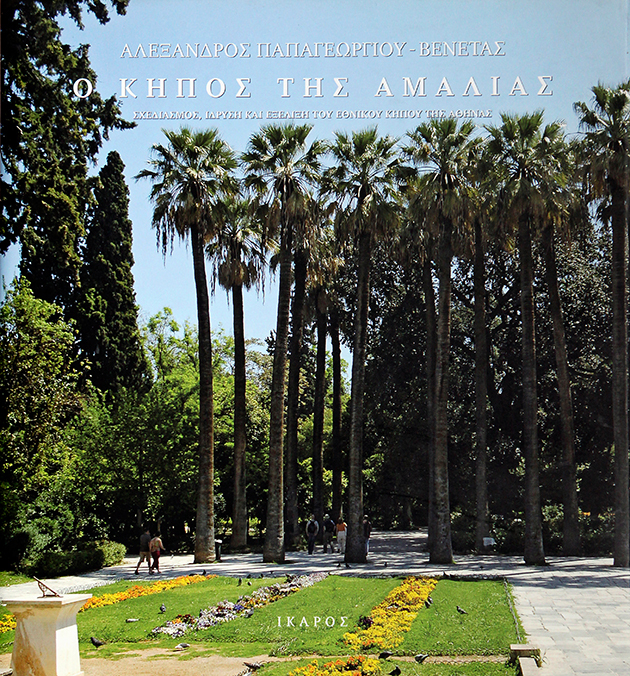 Mount Athos Centre, Thessaloniki, front cover of the album Mount Athos. Panayotis L. Vocotopoulos. Photographs 1956-2001. 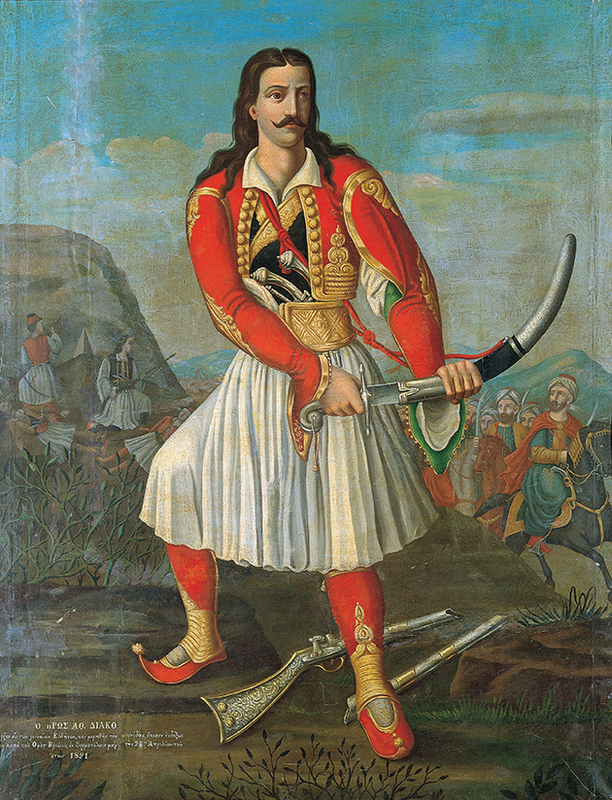 Historical and Ethnological Society of Greece – National Historical Museum. 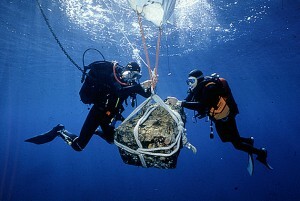 Hellenic Institute of Marine Archaeology, underwater excavation of the Early Helladic shipwreck of Dokos island. 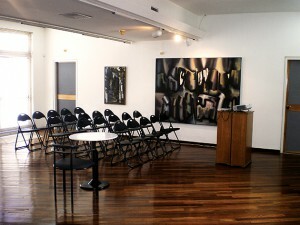 Benaki Museum (main building), the Spyros and Eurydice Costopoulos Gallery. 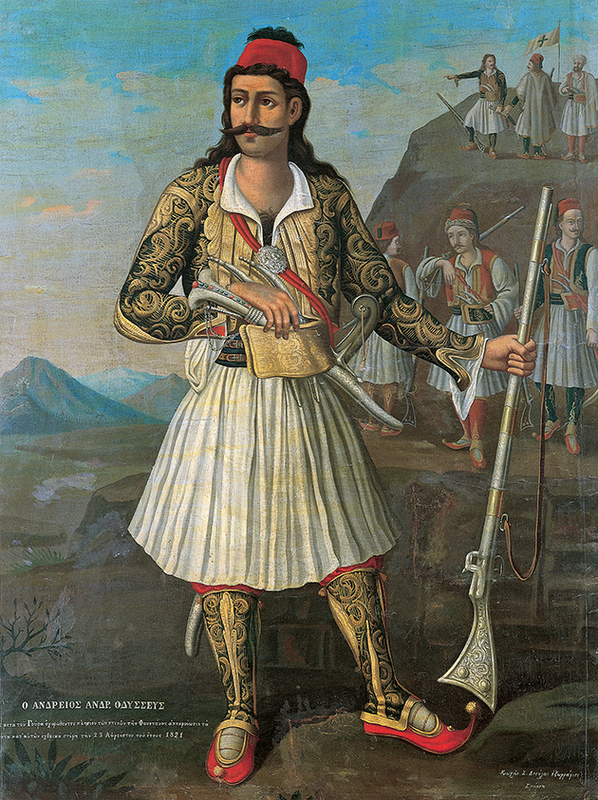 Benaki Museum, Kozis Desyllas, Portrait of Athanasios Diakos. 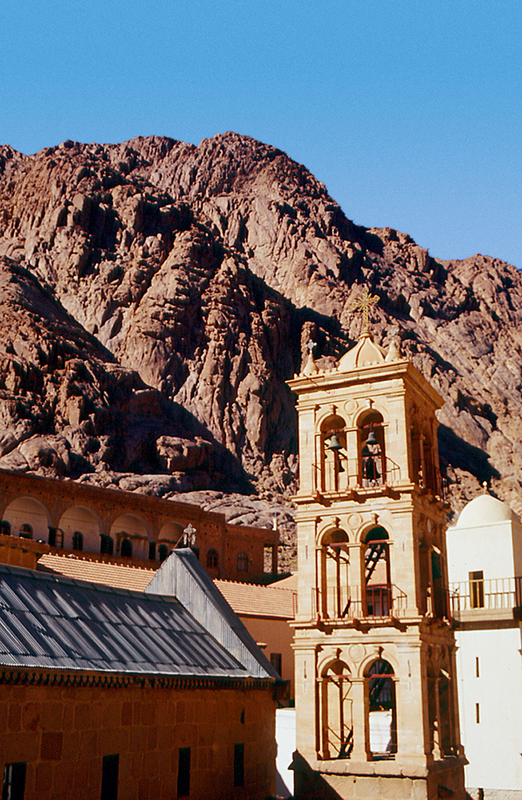 Holy Monastery of Saint Catherine at Mount Sinai.